Late-game struggles crept up yet again as Nebraska (3-3-1) dropped its third consecutive match on the road to No. 14 Duke (5-1-1) Thursday night, 3-1. 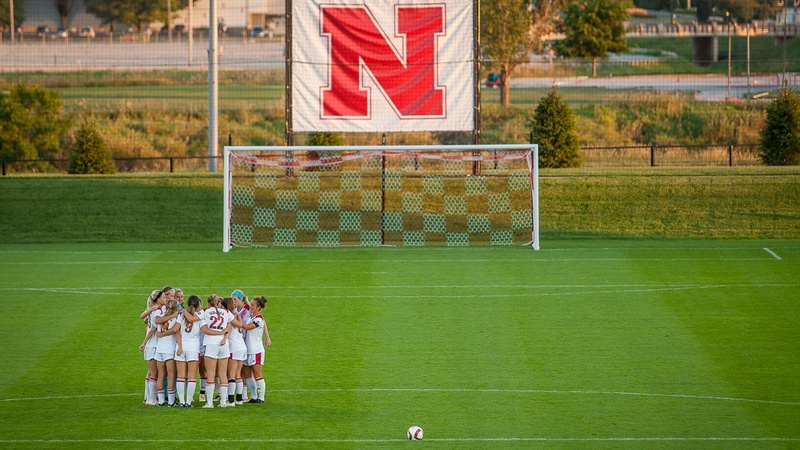 The Huskers took a lead in the 32nd minute off a Faith Carter header that settled into the back of the net. They held a 1-0 advantage after 45 minutes despite a pretty even first half. Shots were level at four. Opportunities were there for both teams. Nebraska capitalized, Duke didn't. Duke scored three in the final 45 minutes and punctuated the result with an 82nd-minute penalty, the Blue Devil's second of the night. Duke won the corner battle (3-1) and finished with more chances. Nebraska had maybe its best equalizing opportunity of the second half in the 75th minute when the ball bounced around in front of the Duke goal. Forward Elyse Huber had a shot at goal but her take was deflected and fell at the feet of midfielder Theresa Pujado. Pujado fired near post but it was saved by Duke keeper Brooke Heinsohn. Duke added its penalty seven minutes later and shut the door on any hope of a Nebraska comeback. It's the third time this season the Huskers have held a lead at halftime and come away without a win. The Huskers are back in action on Sunday at 12 p.m. CT when they close out nonconference play against No. 13 NC State (6-0-1).